The Essteele Per Forza 16cm/ 1.2L Milk pan combines modern European style with precision Italian engineering to create pieces with outstanding non-stick performance. 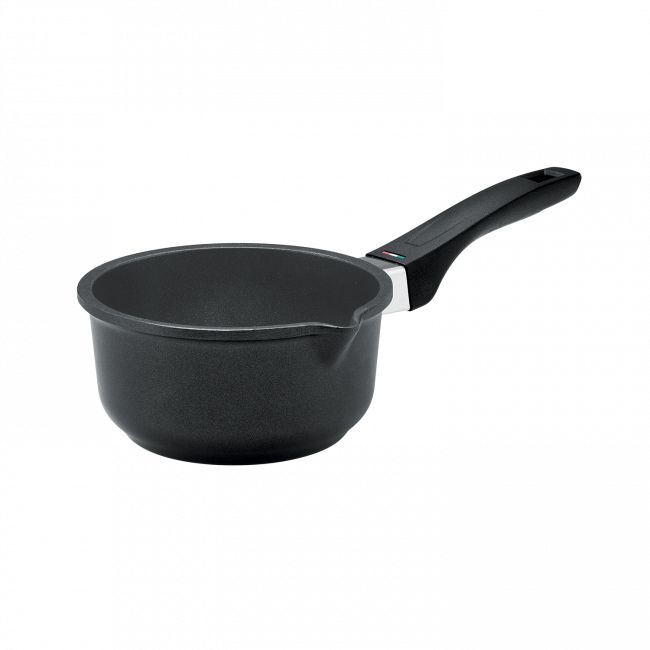 The cast aluminium construction of this milk pan offers fast, even heating performance and exceptional durability for everyday cooking. Whether you are creating perfect custards or steaming milk for an after-dinner coffee,this cookware will give you quality and performance for years to come. Essteele Per Forza 16cm/1L Milk Pan is rated 5.0 out of 5 by 2.